Hey, everyone! It’s another entry to highlight a few items of a more casual looking kit, a wardrobe for a rider who wants to be able to hop off the bike and mingle into a social occasion without changing. But unlike last time where I challenged myself to find gear for under £100 pounds, I’ve lifted my own restriction and now I’m looking at items that cost over £100. It might not sound like a nice thing to do, looking at items that cost more but with the items costing more you do get a lot more features and value for money. As a result your casual kit should be all the more protective and versatile for it. First up is the jacket and for this I’ve chosen the Rev’It Fulton Motorcycle Jacket. I chose this jacket because from the outside it appears to be a regular parka and no one would guess that it has all the features that it does. The shell is made from a Polycotton that doesn’t absorb much water and dries very quickly. 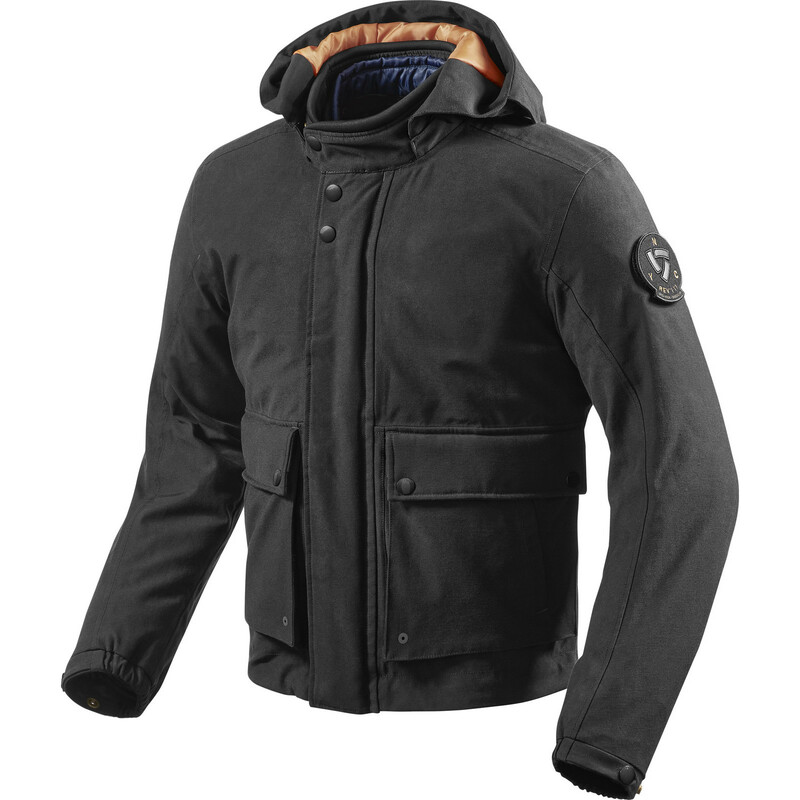 It also has a Hydratex layer that makes the jacket brilliantly waterproof and able to tackle a number of weathers. It comes with CE Level 1 armour in the shoulders and elbows but doesn’t come with a back protector even though it has a pocket for one. It specifically takes one of the SEESOFT Type RV back protectors which for an extra £29.98 on top of the jacket’s price at £229.98 is well worth it. Its a great jacket that’ll serve you well both on and off the bike. 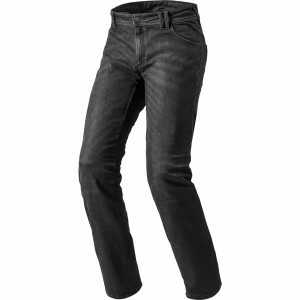 Next is the Rev’It Orlando H2O Motorcycle Jeans. You might notice a bit of a Rev’It theme so far but it’s only because their products are so good. And these jeans are no different, they’re a great, protective pair of pants with Rev’It’s PWR Shield technology to save your skin and SEESMART CE Level 1 knee armour to protect against impact. All this below a layer of great looking, stretch denim that disguises them nicely. 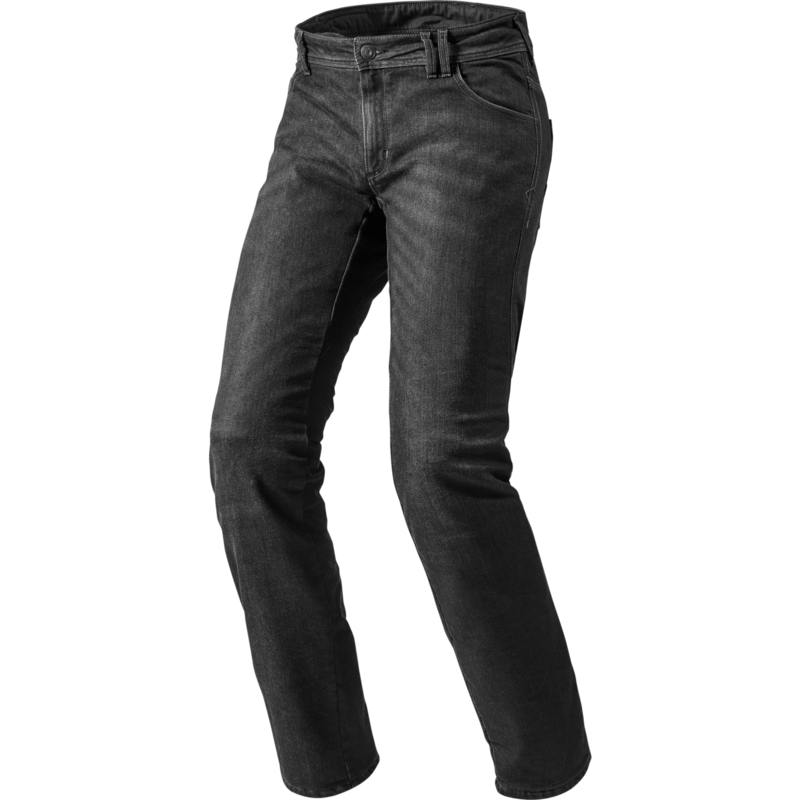 But for £199.98 you’re getting a lot more, these jeans are great for taking on a number of different weathers thanks to a waterproof Hydratex layer. So you won’t have to change clothes after you get off your bike, even if it rains. Okay, I know they’re not over £100 but since there’s a Rev’It theme going on we ideally want a casual looking pair of gloves that are capable of of taking on a variety of weathers. 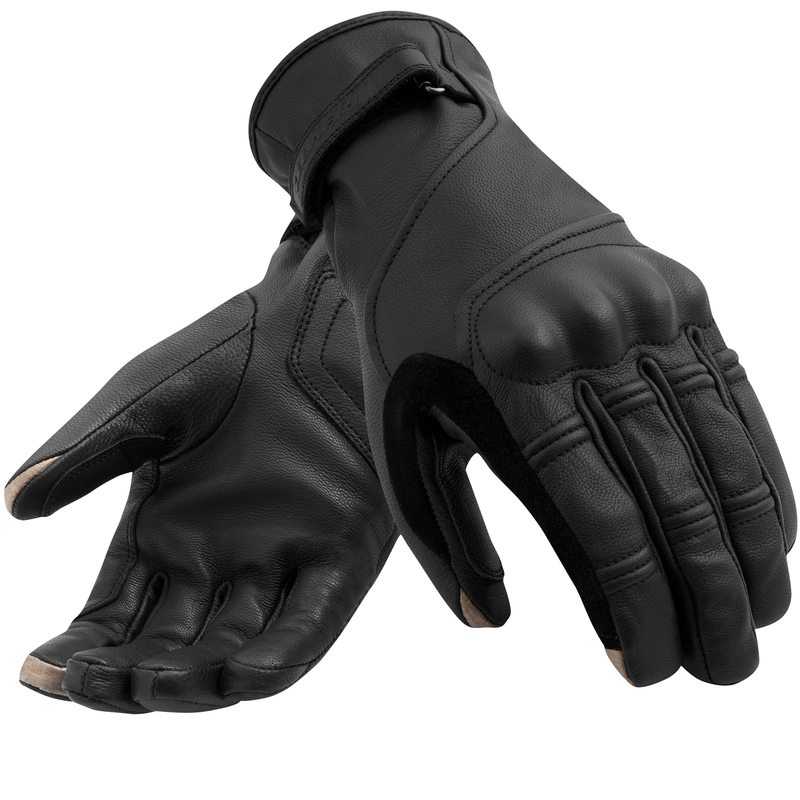 So I have to mention the Rev’It Mantra H2O Motorcycle Gloves. For £59.98 you’re getting a great pair of low profile gloves in a stealthy black leather. They have hard armour in the knuckles for the best protection, a fleece liner to keep your hands warm and comfortable and a Hydratex liner to keep them dry. £59.98 for a pair of gloves that offer all of that protection and versatility at this level of quality is an absolute gem of a find. Lastly on the over £100 list are the Rev’It Royale H2O Motorcycle Boots. If the name of the boots didn’t give it away, I chose these boots for their versatility as well as their trendy, casual style. Aside from the gear shift panels, these boots look like a completely normal pair of hightop shoes. But underneath the casual exterior is a really great and protective pair of bike boots. 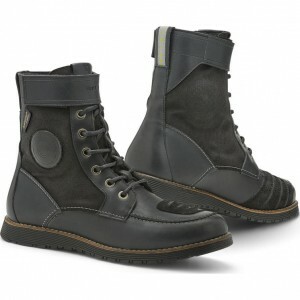 Full grain cowhide and Rev’Its PWR Shell material make these boots safe and comfortable. Thermoform protected areas make the boot sturdy and protected against impact and the Hydratex Z-Liner make these boots waterproof and able to take on even the worst weathers. At £219.98 these boots are pricey but are absolutely brilliant. And that’s it for my list of £100+ casual gear. As you can hopefully see when compared to the under £100 gear, when you pay the extra money, you do get more out of the item so while it may be out of budget for some, sometimes it’s worth waiting and saving up.